Somatosensation is the ability of the body to sense stimuli, but is not as straightforward as it seems. For example, touch can range from being barely perceptible to being excruciating; an itch that is scratched can go from feeling pleasurable to painful. Percussion and loud music can can be felt as a physical sensation. How does this happen, and is it touch or hearing we are discussing? 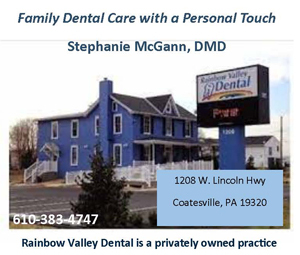 Here I will review recent research on the mechanisms underlying the sensation of touch, and examine the crossovers between pain and itch, and touch and hearing. I will finish by briefly examining the research on touch sensations in animals of invertebrate lineage. Human skin is the outer boundary of the body and bristles with sensors that can pick up external stimuli of all sorts . It is divided into two layers – the thinner layer of epidermis above, and the thicker dermis layer below. Receptors that pick up external stimuli – touch, sound, pressure, light, temperature – are called exteroceptors. Mechanoceptors are a class of exteroceptors in the skin that sense touch and pressure and are distributed in superficial and deep layers of skin. Nociceptors sense pain. Thermoceptors sense temperature. When stimulated, exteroceptors cause the flow of ions through the nerve endings, which sends electrical signals to the brain. Ion movement that triggers a nerve impulse is also the way that the hair-like receptors that sense hearing, and the opsin receptors which sense light, work. The relationship between all these exteroceptors is, one might say, more than skin deep. They all share the same type of ion channel, called the transient receptor potential (TRP) cation channel. Surprise, surprise, these all all evolutionarily related, present in vertebrates and invertebrates, and control many aspects of physiology  that are beyond the scope of this article. The takeaway is that, just as the fundamental action of burning fuel to release energy is necessary to the movement of cars, the fundamental process of ion movement is necessary to the production of nerve impulses. 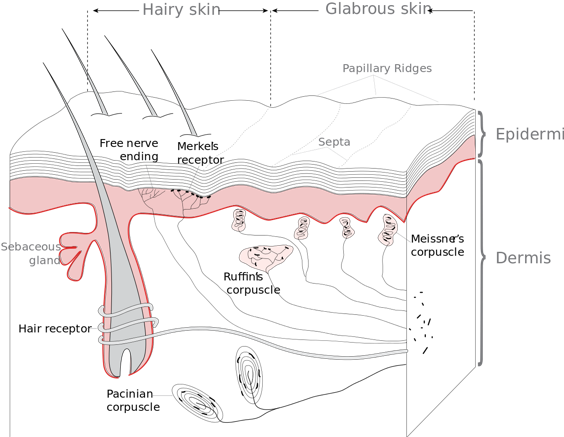 Figure 1: Receptors associated with glabrous and hairy skin. This file is licensed under the Creative Commons Attribution-Share Alike 3.0 Unported license. Original image by Thomas Haslwanter. Mechanoceptor nerve endings that sense touch are either free or concentrated into club-like structures called corpuscles. Generally speaking, Pacinian (lamellar) corpuscles respond to sudden pressure changes or to vibrations, sensing the latter from even several centimeters away. The more abundant Meissner corpuscles specialize in light touch and low-frequency vibrations, and are present in hairless (glabrous) skin, particularly in our exquisitely sensitive fingertips. Other, less specialized mechanoceptors are Merkel discs, which provide information on pressure exerted by sharp objects or edges, and Ruffini corpuscles are abundant near joints and are sensors of stretch and pressure. Nociceptors are free nerve endings that detect both pain and itch, a combination both curious and puzzling. Pain is straightforward, but itch can be of two types – one type is caused by histamine-stimulating pruitogens such as poison ivy, and relieved by anti-histamines. The second is histamine-independent and is seen with diabetes, kidney-failure, and opioid-induced itch. It turns out that there are different receptors and pathways for histamine-induced itch, non-histamine itch, and pain. The types of nerves that innervate these receptors are also different. Itch receptors are innervated by unmeylinated, slow C-fibers, and pain receptors by myelinated, fast A-fibers. The terms slow and fast refer to the speed of their conduction – it indicates that evolution judges that it is more important to respond to pain than itch! The crossover – when over-vigorous scratching of an itch causes pain – happens when the two sensations are simultaneously experienced. Pain-associated neurons can produce chemicals that cross over to the nerve track of the itch receptor and suppress its action, blocking the itch sensation. This only happens with the histamine-induced itch, so no matter how much scratching a non-histamine itch provokes, that is one itch that is going to stay itchy. Thermoceptors are free nerve endings that sense hot and cold. They can be tricked. The application of menthol to the skin is sensed as a “cool” stimulus, and the application of capsaicin, the active ingredient of chili peppers, is sensed as “hot”. Interestingly, birds lack the specific receptor that mediates capsaicin sensitivity, which is why you can put chilli peppers in your birdseed to deter squirrels, and the birds will still happily eat it. No word yet as to whether bird arthritis is helped by capsaicin-infused patches. Chemosensors to detect acidity, taste and smell are largely confined in mammals to mucus membranes. Proprioceptors are interoceptors, and sense position and movement inside the body, such as the correct placement of various parts of the body. These include nerve endings that carry sensory stimuli from visceral organs, ligaments and bone. Once a signal is received, it is transmitted by the nerves to the central nervous system. Mechanisms for transmission range rely on the movement of ions, the production of neurotransmitters, or both. Some mechanosensory neurons are hooked to reflex arcs in the spine which cause a rapid contraction of muscles to withdraw from a painful stimulus, nonetheless, the pain signals pass to the brain for processing and storage in memory circuits. In transit to the sensory cortex of the brain, these signals from the spinal cord pass through the limbic system buried in the brain’s interior. The limbic system is the primitive brain, evolving early in fish and persisting in all vertebrates. This is the region that assigns an emotion to a stimulus – the one that is activated when you kiss your child’s “owie” better, the comfort of the kiss magically relieving the pain. There is supposedly evidence of a separate sensory pathway is stimulated for pleasurable sensations such as stroking , although another perspective is that it is an intensity-related touch pathway with light intensity being pleasurable and high intensity being unpleasant . Do invertebrates feel pain or itch, temperature or pressure? The presence of TRP channels indicates that they have exteroception. Invertebrate molluscs such as octopus have exteroreceptors all over the body, particularly the highly tactile and sensory arms. A memory function may also be linked to sensation: squids whose arms were experimentally injured showed higher sensitivity in the cut limb, and avoided a repeat visit to the scene of the unpleasant event. Squids have no limbic system that we are aware of to assign an emotional association to the stimulus, although they may have an analogous system that we just haven’t discovered yet. In conclusion invertebrates are averse to nociceptive stimuli and that they evokes an aversive emotional and memory response . Arthropods such as bees have a non-tactile exoskeleton made of hardened segments (sclerites) which are impervious to touch. But you will have noticed bees have antennae and are hairy – those projecting structures are accessible to external stimuli. Hairs and antennae harbor structures called sensilla which detect a plethora of stimuli: air movement, touch, pressure, chemicals, electricity, temperature, carbon dioxide levels, and humidity . And TRP receptors are tripped (see what I did there?) when these sensilla are activated. The worker bees have more sensilla than do drones: bee-women are more sensitive than bee-men. No matter. Just think of all the fun you can have pondering the mysteries of nociception on your own account, as well as the bee’s, the next time you get stung. McGlone, F. and D. Reilly, The cutaneous sensory system. Neuroscience & Biobehavioral Reviews, 2010. 34(2): p. 148-159. Hardie, R.C., A brief history of trp: commentary and personal perspective. Pflügers Archiv-European Journal of Physiology, 2011. 461(5): p. 493-498. Abraira, V.E. and D.D. Ginty, The sensory neurons of touch. Neuron, 2013. 79(4): p. 618-639. Sneddon, L.U., et al., Defining and assessing animal pain. Animal behaviour, 2014. 97: p. 201-212. Fialho, M.d.C.Q., et al., A comparative study of the antennal sensilla in corbiculate bees. Journal of Apicultural Research, 2014. 53(3): p. 392-403.